Naturally nutritious California walnuts are known for their light and creamy flavour. Fresh from the sun-dappled orchards of The Golden State, they’re a delicious snack and versatile ingredient, bursting with wholesome, plant-based goodness. Walnuts are high in unsaturated and polyunsaturated fats, and a 30g handful is a rich source of omega-3 fatty acids. These good fats help to maintain healthy cholesterol levels, which are vital to heart health. In fact, our delicious walnuts have received the official seal of approval from HEART UK. These little wonders are not only a handy addition to the diet, but they’re tasty and satisfying too. But what exactly is it that makes them so special? It all comes down to the place they’re grown. California is world-renowned for its blissful year-round sunshine and rich, diverse terra – and deservingly so. The incredible soil quality and consistent seasonal weather conditions, hot summer temperatures, and a plentiful supply of clean, fresh meltwater straight from the Sierra Mountains, all help to create their smooth, light and nutty taste. Combine this with stringent quality controls, so stringent that they even exceed California state inspection standards, already reputed to be the world’s toughest, and you’ve got a recipe for walnut-growing success. 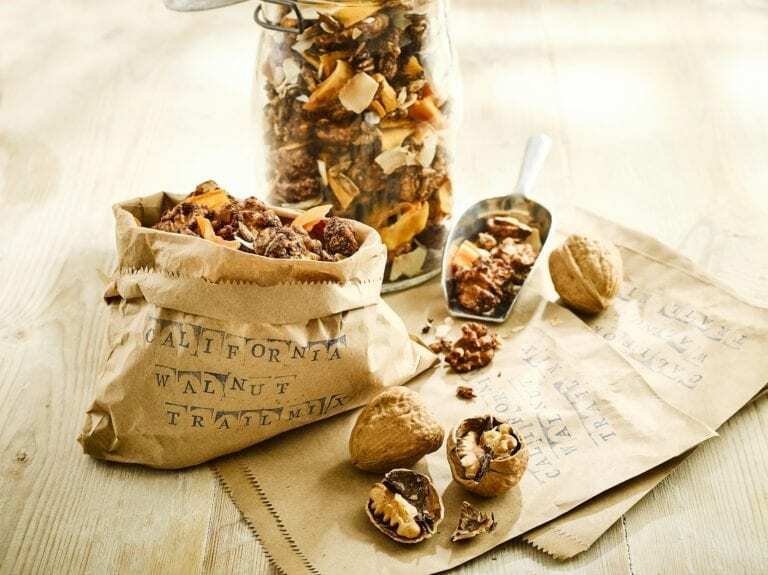 Find out all you need to know about California walnuts from the scoop on health and nutrition to recipe inspiration at californiawalnuts.uk; on Twitter: @Walnuts_UK; on Facebook:@Walnuts.UK; on Instagram: @walnuts_uk. Walnuts are high in unsaturated fats. Replacing saturated fat with unsaturated fat as part of a balanced diet helps to lower cholesterol levels, which is important to heart health. Walnuts are high in alpha-Linolenic acid (ALA). As part of a balanced diet and lifestyle, ALA helps to maintain normal cholesterol levels.